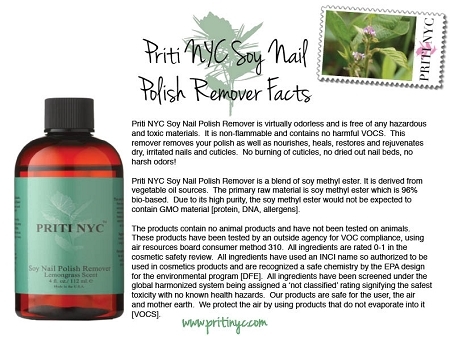 Home > PRITI NYC NATURAL & ORGANIC SOY NAIL POLISH REMOVER > 911 Soy Nail Polish Remover - Unscented 2 oz. Our remover is totally natural and uses a carefully blended mix of natural ingredients that are kind on your nails and skin. 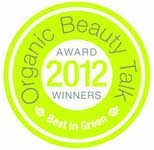 Soy nail polish remover which is non-toxic, biodegradable, vegan, cruelty free, and gluten free. 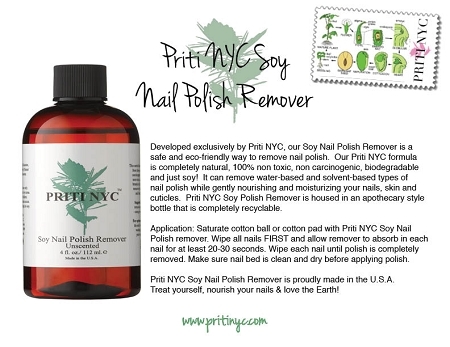 PRITI NYC Soy Polish Remover is 100% Biodegradable. 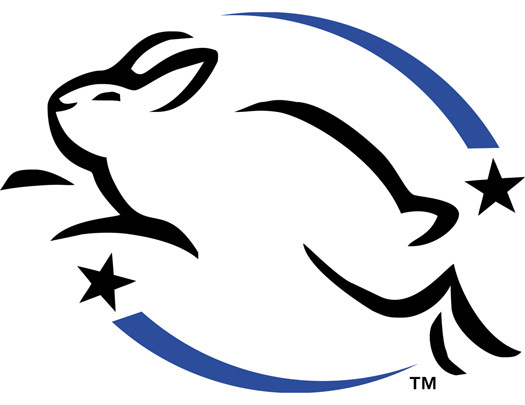 It is non-toxic and not a carcinogenic, vegan, cruelty free, & gluten free. It is derived from farm crops! This remover is considered non-flammable and completely non-hazardous therefore has no freight or DOT restrictions. INGREDIENTS: Methyl Soyate, is an alternative to chemical laden cleaners. That is derived from the soy bean oil. Dimethyl Adipate, is a non voc low toxic biodegradable specialty solvent and can be used as a paint remover. It is also used in creams and lotions. and Dimethyl Glutarate. 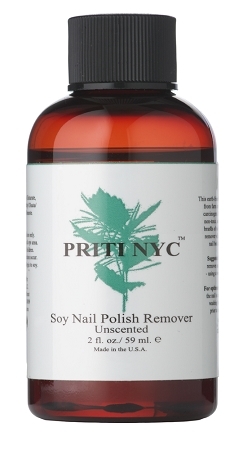 Please note: The soy in Priti NYC's remover is a highly refined material. It does not include proteins, is extremely low in fatty acids, and has no measurable DNA, or other hormone creating structures, that we are aware of. There have been no reports of soy allergic reactions of any type.